To all adoptive parents in the world who have already adopted a child: Never forget that this child comes with a package. We have everything for a brief moment, then we lose it all. We are traumatized for life. We are expected to get over it fast, because society doesn’t see that we have any issues. We are not allowed to grieve because then we will hurt the adoptive parents’ feelings. We must call you parents, and you will be mad if we don’t. How about letting us hold on to the only thing we have in life; our love for our natural parents. Help us, be honest and let us keep our names at least, and our humans rights. We are not blank sheets, there’s already a lot written down when we arrive. And let it be clear, the reason why I don’t support adoption is because I have had a hell on Earth during my childhood. I just write this because adoptive parents who already adopted have a huge responsibility towards the adopted children even more than if you got kids of your own. And my bold statement comes here: I wish adoption ends some day, there are other ways to do things. ADOPTION IS A PERMANENT SOLUTION TO A TEMPORARY PROBLEM! At one end there will always be a grieving mother, and at the other end a child who misses her natural Mum. These are plain, honest facts from my heart. I wrote that first paragraph on Facebook one day, and I just felt like writing more on this subject. Why is it that you get hurt when we wonder where we came from? Why is it a taboo? How can you say that you are my only mum, and be pissed off for my asking? Or telling us to get over it, or else you will be so hurt by it, by us asking about our past? We are supposed to love you endlessly, and put on big smiles on our faces, showing all kinds of gratitude and be happy. Move on with our lives and forget our past, pretend that everything is OK. Live in denial and be so-called happy adoptees, or angry ones who never fit in, and they will show it in many ways. But we stay true to you, because we experienced to be relinquished once, and we fear that it will happen again. So in order to cope with our lives we prefer to do everything in the world to be so-called loveable, or we do the opposite just to test you. But either way adoption is a huge loss, like the death of a loved one, and when someone dies there is mourning, but not for us. We must hide or forget that trauma, carry that loss inside us. Because in many cases we are supposed to be a substitute for the child they could not have themselves, or just be a family member to complete a facade of a nice, happy family with big smiles on their faces. I know this can be very controversial but its the truth. If you search your hearts and answer truthfully you will acknowledge that you paid money for that child, and you hope and expect something back, and when we do not live up to that expectation life will be ruined for the second time around. So many families in complete chaos, and even cases of children being sent back to their homeland because their adoptive parents did not register them to become real citizens of the country they were adopted to. So how can adoptive parents be so cruel? First they contribute to the first huge loss by tearing us away from our parents, and do the paper work so we don’t get to know our story, and we lose the right to look through our journals in closed adoptions, the truth in many cases. And when we’ve lost everything, and I mean absolutely everything, then some are sent back again, being an alien in the country they once knew. The adoption business is all about money and politics, though the world will not admit it yet, but we adoptees are caught in the middle of it, and at our costs. We suffer as long as the world looks upon adoption as “a beautiful and noble thing to do”. This is meant to be a wake up call to the world. Remember, we adoptees are not products; we are human beings with lots of feelings. You adoptive parents claim ownership over us for a lifetime, but know this: LOVE FOR OUR NATURAL PARENTS comes first. And trust and love must be earned, not demanded. And even if the intention of adopting is good, there will always inevitably be special problems. The questions and the problems will come some day inside every adoptee. And that “they lived happily ever after” thing, exist only in the fairy tales. This may sound very harsh but, after all, the ones who who have nothing to say in the matter of adoption are us, the frightened, traumatized little children who arrive into this new alien environment which we must call home. Many nights I have problems sleeping. At certain times of the year I get particularly restless in relation to the deaths of my natural parents. I have severe anxiety due to that loss, and the separation from my family. There are flashbacks in the form of dreams that come from deeply rooted memories. I’ve always been burdened with sadness and depression, having great difficulty concentrating in school and now with things in my adult life, inability to trust others, and a seemingly never ending feeling that my life isn’t ever going to be any better than this. I exist detached from other people, struggling with close physical contact, such as hugs, feeling uncomfortable in social settings, crowded places and queues, and feeling this emotional numbness whilst at the same time my heart seems hard and sore. I’ve been told that if my PTSD is not treated, things will only continue to get worse. This is no good, so I do whatever I can do: seeking help, writing down my feelings in this blog, trying to help myself heal this way. I read every book I come across on the subject of adoption issues, and really, really try to do this because it’ll hopefully help me find the inner peace that I’m seeking. The key word is abandonment, a feeling that keeps gnawing in the back of my head. Although I try not to think about it, it’s always there, this vague echo of an unfathomable loss at a young age, ringing with a series of countless traumatic experiences, and a frightened little girl’s efforts to try to adapt to it all. I had a very abusive childhood, which has resulted in a complex PTSD, making every day of my life a test and a struggle, I’m exhausted by stressful situations, I don’t handle things as well as before, and my mood is turning all the time. So now I’ve reached a point in life when I feel that I’m running on autopilot. I burned out my batteries when I was little, when I had to grow up fast and take on responsibilities that no child should have to. I annihilated myself just to try to please the world. To survive I became a quiet, easily manageable child who took care of things that my adoptive parents should have handled themselves, just to be accepted. I feel burned out, with no energy left, and some days I wonder how I’ll make it through the day. I feel very tired and sad, and often feel like crying all day, or lay in bed and just sleep to escape from the world. Even writing in my blog seems so hard at times. I never thought that working with my inner child would be so tough. And it’s not easy being labeled for my mental condition either, but it’s better to know why my life is this way. It’s part of being true to myself, and has allowed me to make many important discoveries in this emotional Pandora’s Box of mine, since I’ve had all these symptoms for as long as I can remember, without knowing it was PTSD. Much of my recent progress is thanks to a very special person who has helped me a great deal, the only one who has said “I’m proud of you,” which made me cry. And yet this person is a stranger, but also a friend who reached out for me in a Facebook group. How can I ever repay you? I wish to express the greatest gratitude from the bottom of my heart. This post has been updated with new information. See the box at the bottom. I wonder how the social worker at Holt could sleep at night in 1970, after sealing my destiny. He did his job and went home that day, exhausted from all of his work. How could he play God? When he wrote down lies in my journal, I’m sure that he followed rules. Holt must have had guidelines about what to write into the journals in order to make them seem real enough, just to make the work efficient in order to make money fast. They had to maintain the number of kids to be adopted at all times, and of course it was better to have as many as possible, and since the orphanage earned more on overseas adoption than in domestic adoption there was always an incentive to send kids abroad to make room for more. I wonder if the workers at Holt Children Services feel the weight of their conscience when they know that they have falsified so many journals for so many adoptees worldwide. I’ve wondered many times whether the same social worker that received me in 1968, who sat in his office when my father came to bring me home again, some day in the early Seventies. He must have told my father the biggest lie ever, that he had to go and look for me at another orphanage in Korea even though he knew that I had been sent abroad. So my father began to search after me at many orphanages, all over Korea, a search whitch lasted for several years until he died in sorrow and despair. When he handed me over to the orphanage, he was not told that he would never see me again. If they had told him that, he would never have let them take me. 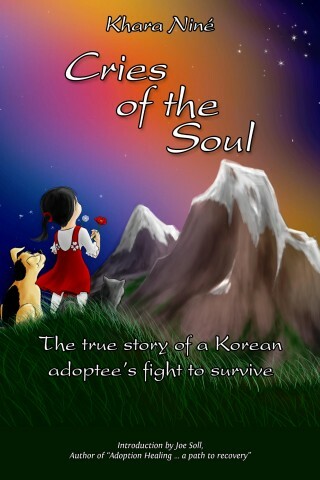 So here I am today, an angry and sad adoptee, wanting to tell the world that a huge injustice has been done to me, and to my Korean father who was desperate to get help for his children in need. This has also affected my oldest sister’s life, because she too searched for me for many years. She was still only a teenager when she started to search, after she promised our Father on his deathbed that she would continue his search after me, so that we sisters could be together. She too longed for me for so many years. She is my hero. Only after our reunion in 1986 she has had peace in her heart. This was not the act of a father who wished to abandon me, but the opposite. He loved all of us children, but he needed help in a difficult time to make a better life for us all. It was only 16 years after the Korea war ended, and our mother died suddenly, so help was greatly needed. My story is not unique, but rather a typical sad event that this sentence fits perfectly: Adoption is a permanent solution to a temporary problem. It hurts so many, and affects so many aspects of our lives. Today we sisters have very little contact because of difficulty with language, difference in culture, and the fact that, although we are family by blood, we are also strangers to each other. Adoption adversely affects everything in life. We lose our parents, most importantly our mother, which leaves deep emotional scars; the primal wound. But we also lose the life we were meant to have, our heritage and so much more. All I can do now is pick up little pieces here and there, in an attempt to reconstruct my story from the past. As tragic as our story is, if conditions in Korea had been different back then, this would not have happened to us, my sisters and I. To put things right for the future, it will be necessary to change both the welfare system and the general attitude towards adoption, and hopefully with time the adoption business will end. These days, most babies that go to adoption are from unmarried single mothers, where many of them have been pushed, bullied, threatened or tricked into giving up their newborn. Korea needs to move into the 21st Century and stop looking down on those women, remove the shame of being young, unmarried and pregnant, and a single mother. Korea, my homeland, my heart cries for the way in which you regard people who don’t follow the masses. There’s even still racial discrimination. Get a grip, and please change for the better. I feel ashamed for the land where my heart belongs; the Land of Morning Calm, please earn your name once more, be tolerant and helpful instead of breaking apart mothers and their children through unnecessary adoption, messing up their lives forever. Many of us who were adopted as very young are now grown up, we’re looking into our past and digging up our true history, and uncovering old sins of the adoption system as we do so. Hopefully the world will see us, and learn that the adoption industry is cruel and unloving, and that by adopting children, the new adoptive parents are supporting that industry. Today, many are working to end the adoption business, to rouse consciousness about the fates of adopted children. This is my only comfort when I think back at my first two years in Korea, and my abusive childhood here in Norway. I hope that it has not all been for nothing, that many will read this and help tell the world that we are too many who suffer the consequences of adoption. I feel that my Appa would have been proud of me, if he had known that I am trying to change the world in this little way; to make it so that no more children will have to experience the ocean of tears and grief as we sisters did, and I still do. That no-one else will be separated for the rest of their lives. My dear Appa: rest in peace. You probably died in 1976, when I was 8 years old here in Norway. If I had only known then that you had come to take me back home. I wonder if you would have recognized me; a very shy, frightened, sad little girl, carrying too many burdens on her shoulders. Would you have seen the sorrow in my eyes, would you have eased my pain, and would you have loved me as much as you did my other sisters? In my heart I know the answer, I will always treasure you. Update: In the time since I wrote this post, I have found out that my father died in July of 1974, not 1976 as I previously thought, at which time I was five years old, not eight. It’s fun to make things, and there’s a jungle of things to do if the energy is right. My own speciality is baking: bread, cakes, buns and muffins whenever I feel like it. Baking is very satisfactory, every step on the way to the finished product. I love to mold the bread and decorate the loaf by sprinkling different grains on top of it, then watch it grow in the oven and feel the smell of fresh baked bread when it’s out. There’s the gentle tapping of the loaf just to hear the hollow sound which says that it’s finished. Then it is left to cool for a bit, but not too much. I love a good slice with salty butter, melting on the warm bread, and cheese on the top; especially brown cheese, which is a Norwegian speciality. I remember a few, very rare days when I opened the door at home and saw all of these nice brown buns in the kitchen, almost a hundred of them. You can imagine the smell of all of those fresh baked buns, and what kind of big eyes I had that day, one of those very rare days my adoptive mum would bake. After a baking session like that, I knew we would have a visit from my aunt, my mum’s sister, a few days later. I was in first grade, so I was about 7 years old. Of course I got a few buns that day, and they tasted heavenly. I sank my teeth into them and ate lots and lots. This is my only nice, warm memory of my adoptive mother, whom I rarely saw sober. I didn’t learn to bake from her, that’s for sure, though I learned all too well how it felt like to be beaten by her. I have always been determined to find out of things, so I remember I just told myself one day that I can do this! There was a lot of trial and error, like with so many other things in life, but after a while I got it right. I guess this is very common, whether one is adopted or not. But I must learn to handle this constant restless feeling inside, so I shall listen more at my Inner Child, listen to what she wants and get better at taking care of her. If she is content then I will be happier and more satisfied too. So therefore I dream about one day having a picnic with a huge, soft blanket in my future garden, with lots of soft cushions and nicely decorated with a big wooden trough full of lots and lots of daisies, put a huge pile of fresh buns on a plate in the center, various kind of breads and of jam, salty butter, cheese, fruit and tons of cider and tea. Listen to the buzzing bees, smell the roses and hang some lanterns in the top of the trees. I can hardly wait! Maybe I’ll pick strawberries too, to have for dessert with vanilla custard or cream. I am forever a gourmet, and I love food from the West and the East alike. Now and then I make Korean food, which I simply love. Korean food takes much more effort to make than Norwegian, so I mostly cook Norwegian food. Recently I’ve started thinking about making other things, maybe try my hand at art. The act of creating something can mean so much. For one, I’d like to learn how to use a lathe to make wooden bowls, get to know the structure of the wood itself, to shape it, to see and feel the nice, smooth surface when it’s finished, and know that I did this, and be content that this is my achievement. I guess it comes down to this: I can manage these things, and I will not fail, because I grew up with my adoptive family always getting told that I was a failure. This feeling shaped me so much in life, I think I have become even more stubborn when its comes to things I really want to do or achieve. I’ll be saving up for that lathe, so maybe one day I’ll have a workroom or a garage full of wooden bowls, and they will all be made by me. Then my heart would swell and I would burst out in happy tears over this luxurious feeling of contentment. For me, the ultimate happiness will be to find the peace which I have missed for so long. So I say to all of you out there: ‘carpe diem’ (seize the day) and ‘alea iacta est’ (the die is cast); find your peace in life. Whatever it is, make sure you use your opportunities, or you may regret it later in life. This girl is surely using hers from now on ‘a dato’ (from this day).